Coin Buyer Tempe. We Buy ALL Coin Types. Our Pawn Shop in Tempe, also serving Scottsdale, Mesa, and Chandler can either buy your coins outright or you can take a loan on them and get them back! Whether you have one coin or an entire collection, we will closely examine them and give you the best price that you deserve. We have clients across the West Coast that are selling to us every day. Don’t lose 10%+ in fees on eBay to sell your coins, sell to us today for immediate cash! We are a buyer of gold coins, silver coins, pre-1965 US Silver Coins and also rare and collectible coins. We’re not only the top coin buyer, the top coin lender, but we’re also a coin store for collectibles, numismatic, old, antique, and vintage types of coins. Even if they’re gold, or silver, or antique United States coins, we have them in house and are actively buying and selling them. This means that are ability to make valuations on your coins and our ability to make valuations on the coins we sell is top of the line in Tempe. We live to serve our customers whether we’re helping them, or whether they’re helping us, all transactions are honest and beneficial for everyone involved. And hey, maybe you don’t want us to be your coin buyer, but you still need cash. We can also make quick and easy coin loans at similar prices as if we were your coin buyer and that way you can get your items back. 10c Silver coins (dimes) dated pre 1965 – Priced based on silver price. 25c Silver coins (quarters) dated pre 1965 – Priced based on silver price. 50c Silver coins (halves) dated pre 1965 – Priced based on silver price. $1.00 Silver coins dated pre 1937 – up to $50,000. Buffalo coins – Priced based on current gold price. $1.00 U.S. Gold coins valued up to $5,000. $2.50 U.S. Gold coins valued up to $5,500. $3.00 U.S. Gold coins valued up to $8,000. $4.00 U.S. Gold coins valued up to $95,000. $5.00 U.S. Gold coins valued up to $6,000. $10.00 U.S. Gold coins valued up to $10,000. $20.00 U.S. Gold coins valued up to $15,000. At our pawn shop in Tempe is a major coin buyer, also serving Scottsdale, Mesa, and Chandler, will also pay you the most money for your Gold, Silver and Platinum coins. We take most minted stamped bullion bars and ingots including Engelhard, Johnson Matthey, Pan American, Pamp Suisse, Sunshine and many others. We are in a position to buy or sell Silver. We are also able to offer Cash For Silver on the spot in Tempe. If you are thinking, “Coin Buyer Tempe”, think Tempe Pawn & Gold. Buying and selling all types of coins from customers in Tempe, Scottsdale, Mesa and Chandler. All Gold and Silver Coins Are Good for Cash! Let Tempe Pawn and Gold be your coin buyer. 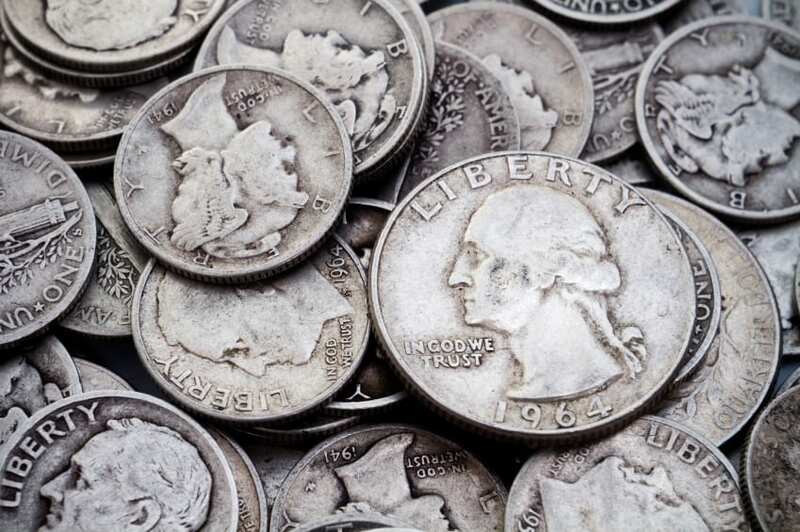 Any silver, gold, old, or antique coins you have are as good as cash at our pawn shop. What makes silver and gold coins so valuable is the precious metals inside. There’s two types of coins that determine what kind of value they have: intrinsic and numismatic. Intrinsic coins are coins that are either old or antique and have their value because collectors are interested in them. This usually means they have some sort of rarity, and that’s where certain types of grades come into play. These types of coins are valued based upon how rare they are, but also about the overall condition of the coin altogether. Most coins will have numismatic value. This just means that they contain some sort of precious metal like gold, silver, or platinum, and that their value isn’t determined by rarity or anything of the sort but simply by the gram weight of the metals that are held within the coin itself. You’ll see a basic list of these up above of the most popular silver and gold coins, but these types of coins are the best kind for fast cash. Gold coins hold a lot of value as they can be quite heavy, so let us be your gold coin buyer and get cash in your hand today.